"Every Scout deserves a trained leader"
One of the keys to a successful Scouting experience for young people, second only to the selection of the right person for each responsibility, is trained volunteer leadership. Leadership training provides adult leaders with fundamental information about the aims and methods of the movement, as well as specifics about their particular roles in Scouting. Whether you are a new leader or an experienced leader, there is a training program for you! You might be wondering where to start, or what to do! Training is a continuous process throughout your scouting career. Young and old, new to scouting or experienced in scouting, there is always training for you - call your district training team to find out more! Introduction to Outdoor Leader Skills: Required for Boy Scout Troop Scoutmasters and Asst. Scoutmasters - October 12-13 - Naish Scout Reservation. Why do I need that training? Everyone requires training for anything that is to be done well. Unit leaders are trained so that young people receive a worthwhile experience full of fun and adventure. How effectively the Boy Scouts of America can influence the lives of young people depends to a large extent on their leaders' abilities and understanding of the aims, principles and techniques of their various jobs within Scouting. It has also become mandatory for all leaders to be trained for units to be re-chartered as of 2011; making training a cornerstone of success for any unit in scouting. This chart will tell you the required and recommended training courses for your leadership position in Cub Scouting,Boy Scouting, Venturing, Varsity and Sea Scouting. Please note that “This is Scouting” (now online at myscouting.org) has taken the place of New Leader Essentials as noted on this chart. If you have already taken New Leader Essentials in the past, you have completed that component of your training plan. All Leaders will have “This is Scouting” (or NLE), Youth Protection (Not older than 2 years) and the fast start for their specific position completed for every scout year they are registered leaders (**all Online Courses**). Training continues along the scouting trail from position to position and it is recommended that leaders work to stay 1.5 years ahead of their current position to be able to fully maximize training for their Scout’s overall experience; that includes intermediate and advanced training. Note: National Camping School certification is good for five camping seasons. 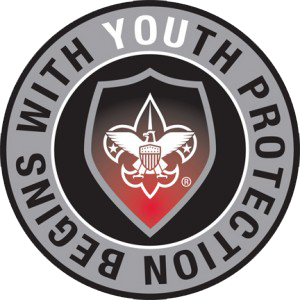 Youth Protection Training is available on the online learning center at my.scouting.org This training is good for two years. In order for a Cub Scout Leader to be considered "fully trained" for thier position they need to complete the above courses along with completing the Cub Scout Position Specific Training which is only offered in a classroom setting. Other training for Cub Scout Leaders include BALOO (Basic Adult Leader Outdoor Orientation) and Outdoor Leader Skills for Webelos Leaders. All Cub Scout Leader Training is also available online at my.scouting.org. In order for a Boy Scout Leader to be considered "fully trained" the leader needs to take the above courses along with Scoutmaster/Assistant Scoutmaster (even if you are not in one of those positions), and Outdoor Leader Skills (OLS). Scoutmaster/Assistant Scoutmaster Training and Outdoor Leader Skills are only available in a classroom setting and OLS is a overnight campout. Troop Committee Challenge is available online. Take part in weekly den meetings. Assist the den in its part of the monthly pack meeting program. Meet as needed with the adult members of the den, pack and troop. Den Chief Training is normally scheduled to be offered at the University of Scouting Annually. The District will also conduct a course annually. Any Boy Scout that has reached the rank of First Class, and or any Venturing Crew or Team member can seek to become a Den Chief after they have been given permission by the units Scoutmaster/Venturing Leader or Team Coach. How pack’s request Den Chiefs is at the discretion of the individual Cubmaster in coordination with the individual Scoutmaster/Venturing Leader/Team Coach of the Den Chief’s unit. TLT is a troop-level “how to” for all troop leaders and new Scouts. TLT teaches Scouts how to Be a leader, what he needs to Know to perform his responsibility, and how to Do it well. TLT’s Training Objectives are to introduce the Scout to his new leadership role and The expectations of that role. To explain the role of all troop leadership positions. To equip the Scout with vision and skills to be an effective troop leader. Scouts will benefit from TLT acquiring the knowledge and confidence in knowing his responsibilities as well as understanding the troop structure. TLT Helps the unit by enabling the youth led troop structure. It gives the Scout the confidence to perform his responsibilities well. It fosters good communication between the youth and the Scoutmaster and senior patrol leader. Any age Boy Scout—including new Scouts—should attend this training. The material is for all ranks and positions. TLT is primarily done by the Scoutmaster and the senior patrol leader. May request help from the assistant Scoutmaster or others. TLT can be conducted at any location, and can be done in three one hour modules and or one-three hour session. NYLT is an intensive, seven-day outdoor training experience for young men and women in support of the Unit Leader's responsibility for the training of troop youth leaders. The course is conducted by the Heart of America Council Training Committee using the Junior Leader Training Conference outline, approved by the Boy Scout Division of the Boy Scouts of America. The purpose of NYLT is to give participants the confidence and knowledge to run the Unit program; to give participants a basic knowledge of the eleven skills of leadership and help them relate these skills to their Unit responsibilities; to give participants the opportunity to share ideas and experiences with youth from other Units; to create an atmosphere where Scouts will experience Scouting at it's best; to enhance the relationship between his/her Unit Leader, and TO HAVE FUN! NAYLE is a national level, week long “extreme leadership” training in a wilderness setting. It uses Philmont Ranger training to reinforce NYLT skills. The training objectives of NAYLE are to help Scouts expand upon team building and ethical decision making skills learned in NYLT. NAYLE also teaches leadership, teamwork, and the lessons of selfless service. NAYLE Benefits scouts by creating leadership skills, intuitive decision making and reinforces all NYLT skills while reinforcing the concept of service before self. NAYLE helps the local units when the Scouts come home brimming with enthusiasm for the best in service-based leadership to their team, whatever that team may be. Age 14+, with previous NYLT experience is required for attendance and any troop leader can attend. NAYLE is a Youth-led course with youth staff plus a few adult support staff. NAYLE is conducted at Philmont’s Rocky Mountain Scout Ranch (underneath the Tooth of Time) over an entire week and is offered numerous time’s over each summer session at Philmont. NAYLE will give any Scouts attending a once-in-a-lifetime opportunity.